“I googled you on Facebook” shouted a fellow hiker to an old friend they bumped into on the mountain. Wait! What? That doesn’t make sense; as a self-proclaimed techie, overhearing this abomination left me cringing, but also made me think, could the social media giant reduce our beloved Google to a mere adjective? The truth is, the evolution of social media is about to launch a not-so-sneak attack on how we live our lives on and offline. Every month there are new plays made by the social powerhouses and mind-blowing innovations becoming a reality. The social landscape is on a take-over path and there are quite a few changes in store for us in 2017. Augmented reality and social media is a match made in heaven. 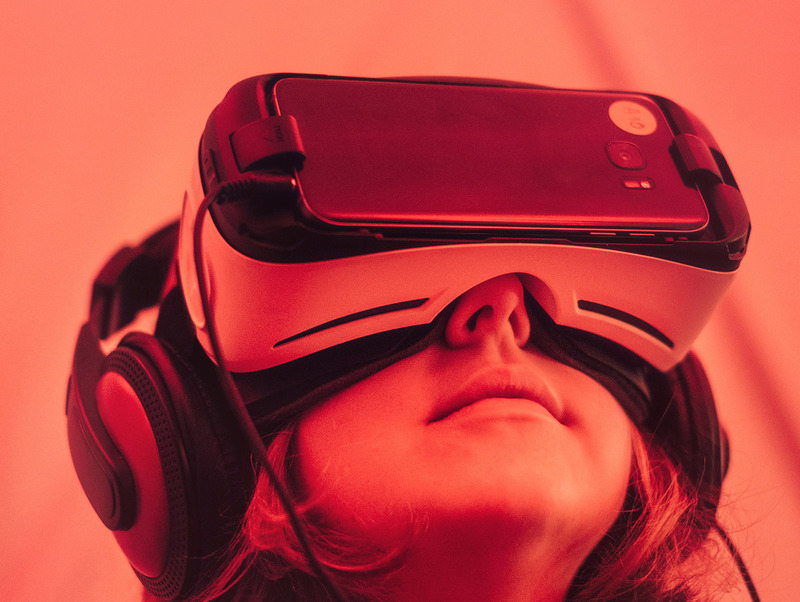 Immersive experiences are the future of how we connect and share online. 2016 will forever be known as the year of Pokémon Go, the app brought us off our chairs and into the real world bumping into other fanatics on street corners. When it comes to wearables the hype around Google Glass might have been too soon, but there is no doubt that the future of social will be whatever and wherever we want it to be. Imagine instead of viewing your friends holiday photos and snaps, being able to share a cocktail with them in Bora Bora during your lunch break. Social commerce or Scommerce is the next phase of the ecommerce experience. Scommerce will be the driving force behind mobile shopping where it will become natural for users to make purchases on the go. The expected explosion of the buy buttons on Instagram and Pinterest are yet to contribute towards sales, but why? This could be due to the information overload we are already experiencing on these platforms, the lack of inventory structures and browsing capabilities. But wait, instead of taking ecommerce to social media why not take social to ecommerce. In the movie ‘The Intern” Anne Hathaway plays a founder of the fashion ecommerce start-up “About the Fit” they plug in a new feature where users can see what other shoppers put in and out their carts in real-time. This creates a demand for items and makes online shopping more interactive and social which is something we’re been waiting for. Social media has created a demand to showcase our best selves online, from beautifying apps and colour saturation filters everyone is a supermodel online. Snapchat took the filter culture one step further and embraced augmented reality through live animated masks, the app now has 10 billion daily video views. As new platforms pop up the big players need to keep up, Facebook acquired the Masquerade face tracking and 3D face placement SDK and is now offering face masks on their live video (which is a spin-off of periscope). All we can do now is wait for what’s next and hopefully, it improves our selfies. As seen by addictive SnapChat filters, innovation is exploding in the social media space, but all the big players do is recreate their ideas on their all-inclusive platforms. Is the space being monopolised by the heavy-hitters or will platforms start to segment into niche networks? Until recently there were 3 major players in the social media space, Facebook, Twitter and LinkedIn who each filled slightly different niches, this has now changed to include SnapChat and Instagram (now acquired by Facebook). As each social network becomes overcrowded by ads and their newsfeed algorithms can’t keep up organising relevant content there will be no other option than segmentation. Moms will flock to their specialized social network to share their magic moments and the fitness fanatics will post their #inspo posts on their niche network. Back to “I googled you on Facebook”, social media will become the future of search engines. When you hear of a restaurant it’s become a toss up between googling them or searching for their Facebook page to view up-to-date patron reviews and real images. Apart from search, there has always been a debate between the influence of social media on SEO. The Twitter Firehouse deal with Google in 2015 was a game changer. Google is now indexing selected tweets, which provides real-time updates on your search results page. Brands are latching onto Twitter as a part of their SEO strategy, which actually alters the core of the conversation platform to be more broadcast focused. It’s early days for social indexing but the merge between search and social is sooner than we think – if only Google+ hit it off the war would have been over before it started. If there was ever a social network killer, sponsored content would be number 1 on the suspect list. The advertising content overload on our newsfeed is enough to make us run for the hills, what we’re mainly interested in is what our friends are doing. With the rise of social came the rise to the ‘social media celebrity’ an influencer in the space with a large following of fans interested in their content. Brands pay big bucks to get these influencers to curate posts about their products, which results in sales from loyal followers. With any advertising message, trust is the determining factor. Do you trust a brand is the best because they say so because the insta-celebrity says so or maybe even because your friends say so? We’ll soon see the rise of the everyday influencer where brands enlist a larger number of every-day users to review their products/ services and post about their experiences to their network. Social media has changed the way we stay in touch with our friends and family but what about how we work. Some organisations have banned social media sites in the workplace for productivity reasons but some have embraced the platforms as a means to improve efficiency, staff morale, and project management. Workplace by Facebook as an app that allows organisations to build teams and collaborate on projects without the distraction of sponsored content or your personal newsfeed. But surprisingly enough Workplace for Facebook, even without the ads, is not a favourite business communication tool. Slack has become the social network where we spend our workdays. Traditionally a business communication and project management tool users are now sharing music and making lunch plans through their Slack channels, I mean why would you leave. The key to workplace social networking is the focus – we want to be able to interact without being distracted with cat memes and ads for Dunkin’ Donuts. Live video has been around for ages, from watching live sports matches to being able to see your local radio DJ live in the studio via their webcam. This being said social media live streaming is still in its infancy. Facebook Live, YouTube Live and Periscope Pro are the front-runners but the live revolution has not even started and it’s looking for someone to take the lead. We’ll soon be able to turn on our Truman show and broadcast our very own reality TV show at the tap of a button. It’s hard to predict what’s next but all we know is that the way we communicate personally and in business is evolving at an overwhelming speed that we just can’t keep up with. But is there really no hope, should we just roll up on the couch and not give SnapChat a go. The key is to incorporate social media into your business, daily lives and just go with the flow. Take it easy and see what works for you and your business. You might miss a few trends that come and go but don’t you worry there’ll be something even wilder around the corner.